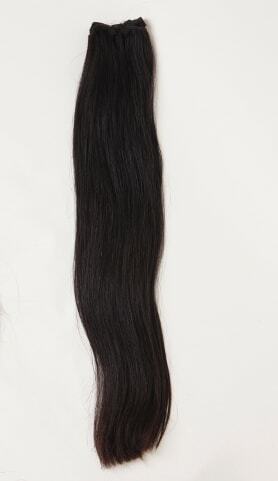 This is beautiful Straight hair that will blend perfectly with your own. Now you can have long beautiful hair and no one with know your wearing hair extensions. This hair has a slight natural wave to it, can be styled and colored to your desire. You will love the easy maintenance and the longevity of this beautiful natural Indian hair. This hair is 100% Human with all cuticle in-tact and running in the same direction making it tangle free.